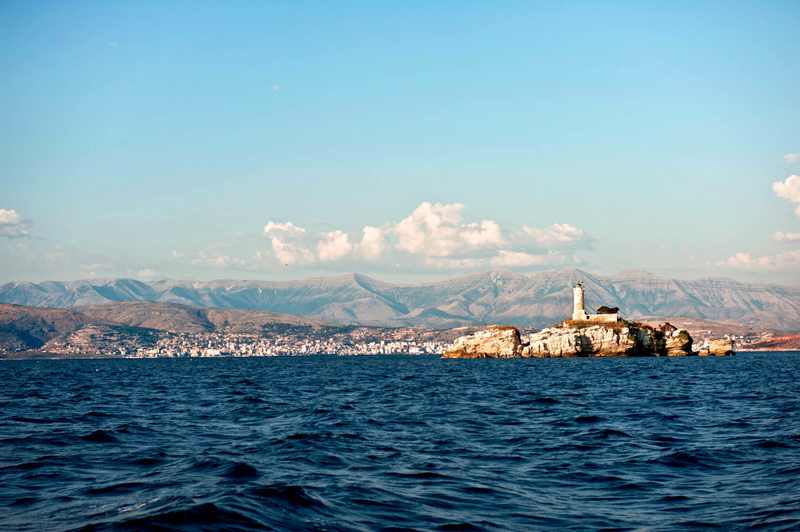 Such amazing article and video about Albania coastline and marine. We enjoyed reading it. July 24, 2011. 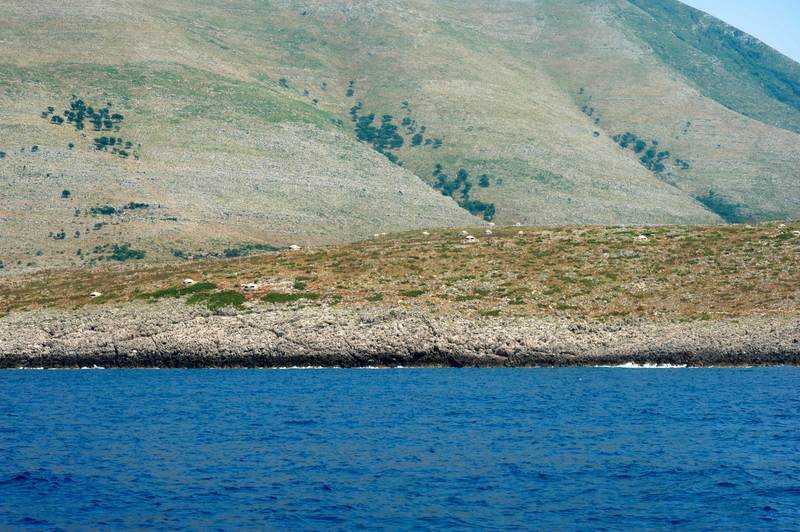 It is one o’clock in the afternoon and the rocky coastline of southern Albania is white-hot in the blazing sunshine. We are three kilometres from Corfu, the popular Greek island, and after two dives, I’m feeling hungry. I peel the top of my wetsuit down to my waist and wander over to the restaurant perched on the edge of the beach. A month earlier: towards the end of June.“Do you think that is Albania?” asks Lorraine, one of the OCEAN71 Magazine journalists… We are in the middle of the Ionian Sea that lies between southern Italy and Greece and off the bow of our 12-metre expedition yacht a mountain range is emerging from the haze. It looks wild, almost hostile, and plunges into the sea to form an impregnable natural fortress. Shortly we pass an island with a softer, greener landscape. “Look! That must be Corfu,”she says. Five hours later we nose into a channel that forms a natural frontier between the great Greek island and Albania; the border lies in the middle of the three-kilometre stretch of water. I ask Lorraine, who is helming, to hug the Corfu coastline as I don’t want the Albanian military descending on us just yet. Of course they never did, but like the flock of tourists that visit Corfu every summer, I imagined the armed forces would appear at the slightest intrusion and had that uneasy feeling of entering unknown territory as we got closer to the ‘Land of Eagles’. During our journey around the Mediterranean from the Cote d’Azur to Corsica, Sardinia to Calabria, Sicily to Lampedusa and Malta, we were repeatedly warned against going to Albania: “Albania? You’re not serious! The country was recently a very dangerous place…I read somewhere that it is still unstable,” said one naysayer.“The waters around Albania are mined! Charts show active minefields that will make an approach by boat very dangerous, and that is before you consider the traffickers and smugglers that cross the channel to Italy at night,” said another. “Aren’t you afraid of having your boat stolen? The country is so poor that you will stand out like a sore thumb. If I were you I wouldn’t leave my boat unattended for a moment,” said yet another. Of course few people have actually travelled to Albania to verify these allegations, most of which are the result of a total lack of information about the place. During our preparations for this trip the information vacuum became very apparent, but we eventually managed to find a meagre tourist guide and some general charts of the area. Google Earth satellite images gave us a little more insight, but even those dated back to 2005, so armed with very little data, we felt like pioneers. Exploring Albania’s coast, the OCEAN71 team has discovered the existence of a forgotten antique city. The take-over of this port by Julius Ceasar during the Civil War has been one of the key events that led him to absolute power. Swiss archeologists are currently the first to study the site. An exclusif documentary. Thanks a lot, Albania Holidays, for this post on your blog !